Get rid of the dreary, dated tile that stands between you and the ideal space you envision. Here's how to tackle the tough job ahead. 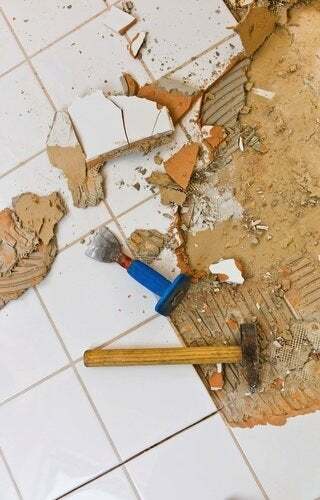 Though it’s not easy, removing tile is an early and necessary step in some of the most common, albeit ambitious, home remodeling projects. If you’re lucky, the tile was originally installed over a subfloor that can simply be removed, taking the tile along with it. Otherwise, you need to remove the tile in the painstaking, brute-force way. No special skills are needed, and you probably have all the right tools. The hard part is keeping at it until the job’s done. Follow these steps to do it right. Make no mistake: This is going to be messy. So before you begin to remove tile, go the extra mile to prevent dust and debris from blanketing the rest of your house. If your HVAC system involves air-circulating ductwork, turn it off for the time being and, if possible, close the vents in the work area. Open any windows in the tiled space and most important, seal off the doorways with plastic sheeting; that way, dust and debris will not escape. Of course, in such a situation, it’s only prudent to wear a dust mask. And because demolishing tile entails shrapnel-like slivers and shards, it’s also a good idea to wear gloves and protective eyewear. To get started, examine the area for a missing or broken tile, and begin the removal at this weak spot. If all tiles are intact, begin along a grout line. Set your chisel into the spot you’ve targeted and strike it, firmly and decisively, with your hammer. What happened? If the tile broke apart in large pieces, that suggests the tile was set with mastic—a malleable adhesive that’s going to make your life a little easier. If you put hammer to chisel and nothing much happened, that probably means the tile was set with mortar. Translation: You’ve got your work cut out for you! With mastic-set tile, the job now becomes a matter of scraping horizontally, using as much force as you can muster, with the goal of separating the tile from the underlying surface. If you get stuck, go ahead and chisel again. Work from one end of the room to the other, scraping and gradually peeling up succeeding courses of tile. With mastic, the removed tiles actually ought to remain unbroken, which means you may able to salvage at least some of them, if desired. Pile the tiles into your wheelbarrow, then cart the load outside (in multiple trips, perhaps, depending on the size of the installation). Finish things off by using a brawny shop vac to clean up the residual dust and tile fragments. With mortar-set tile, expect less scraping and more chiseling—a lot more chiseling! In fact, in order to generate enough force to break each individual tile, you may need to hammer the chisel onto it repeatedly. It’s laborious, and it’s even messier than the process described in Step 3. If there’s a silver lining, it’s that almost anyone can do it. The sole qualification for success is sheer determination. 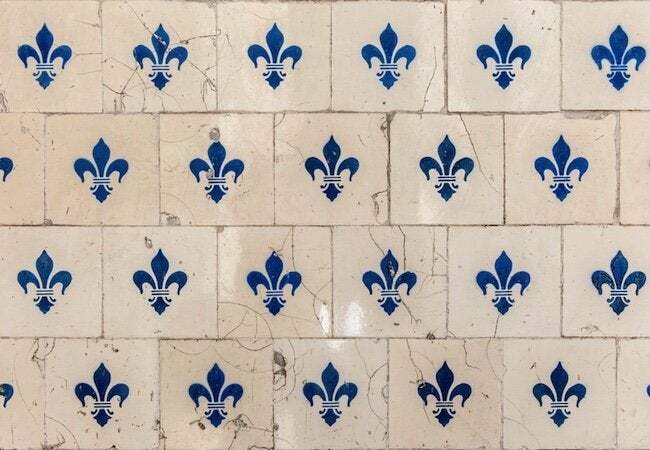 To keep your spirits up as you progress, remember this: You’re saving money that you can now put toward new tile, or new fixtures, or a celebratory drink (or two) at the local pub when it’s all over.